Don’t you just love it when complete strangers tell you how you should or shouldn’t be bringing up your kids? What is it about some people that makes them think they have the right to pass judgment on a situation they know nothing about? It beggars belief, and the latest story of mom-shaming really has our blood boiling. Muscato was so taken aback by the reproach that she posted an emotional Facebook post that has been shared over 36,000 times. It’s one thing to be told breast is best when you’ve made a decision to formula feed instead of breastfeed — and whatever your reason for that choice, it’s nobody else’s business — but for this particular mom, it wasn’t her choice. She desperately wanted to breastfeed her child and give her all the benefits of her mother’s milk, which made it even more difficult to take the stranger’s criticism. It’s so sad that in 2016 women still face this kind of ignorance and rudeness. The health benefits of breast milk cannot be disputed, but that’s not the point. 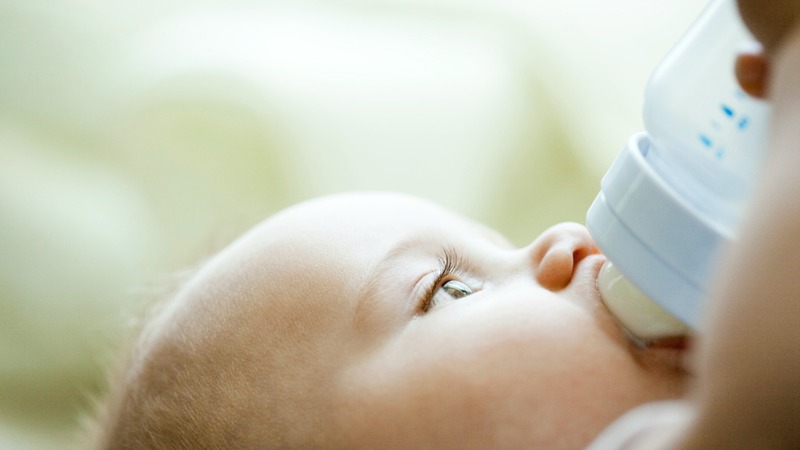 The point is that breast milk isn’t best for some babies (and moms), and above all, it’s nobody else’s business what another mom feeds her baby, as long as the baby is happy and healthy. Whatever your opinion on breastfeeding, the only time it matters is when it comes to your own baby. When it comes to everyone else, keep your thoughts to yourself.